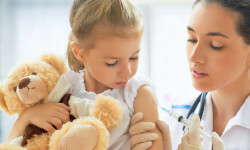 This week, Vactruth perpetuated its echo-chamber of anti-vaccination rhetoric by posting an article entitled “Vaccines Blamed for Alarming Increase in Seizure Disorders Among Children.” We decided to evaluate the claims ourselves. According to the latest estimates, about 1% of children aged 0-17 years have had a diagnosis of epilepsy or seizure disorder, with only 1 in 166 children under the age of 5. We’ll give you this one, Vactruth. And it may benefit the article’s authors to reread this definition. Then read it again. Then realize that the remainder of their argument confuses the word “seizure” with the word “epilepsy.” An isolated, even medically provoked (i.e. due to fever) seizure does not warrant an epilepsy diagnosis. It’s an “all iPhones are cell phones but not all cell phones are iPhones” sort of conundrum. Refer to claim two. 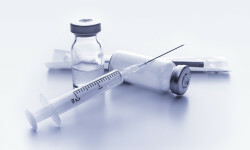 Febrile seizures following a vaccine (which occur as a reaction to the fever brought on by exposure to the inactive pathogen in the vaccine) are not manifestations of epilepsy. 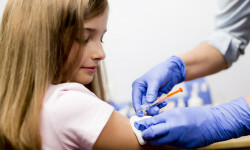 The best estimates identify post-vaccination seizures in 1 in 1458 immunized children. Longitudinal studies of those children later diagnosed with epilepsy revealed that all but 1 had family history of seizures or an identifiable genetic mutation underlying their epilepsy. The limitations of current genetic diagnoses may be to blame for the failure to identify a genetic cause in the one child. If anti-vaxxers want to point to that single child as evidence of vaccinations causing epilepsy, they’re looking at a statistic of 1 in about 1.9 million. That would equate to two American babies per year with unexplained vaccine-related seizures – which can’t be construed as “many” by any stretch of the imagination. Vaccine package inserts (like every other FDA-approved medical treatment) are required to highlight potential risks. One of those risks is the risk of seizure – although such an occurrence is largely limited to children with a family history of seizures. A post-vaccine fever, then, would be more likely to trigger the manifestation of the underlying predisposition. And if we must say it again – a post-vaccination seizure does not meet the requirements for an epilepsy diagnosis. Such a claim is the same ((cognitive leap)) from headache to Craniopharyngioma (brain cancer). Claim #5: The National Vaccine Information Center states that less than one to ten percent of adverse reactions to vaccines are ever reported. While the National Vaccine Information Center self-reporting tool may well only catch a tenth of cases, the National Collaborative Perinatal Project (NCPP) spent nearly a decade gathering them all. The project followed 58,760 expectant mothers and their offspring through the duration of the pregnancy, and for 8 years after. So please, if you feel as though a certain condition suffers from self-underreporting, download one of the many studies which used the database and see for yourself. When Will Jenny McCarthy Apologize?